This is the one you’ve been waiting for – 20 acres at the base of the Elk Horn Mountains with year-round access! 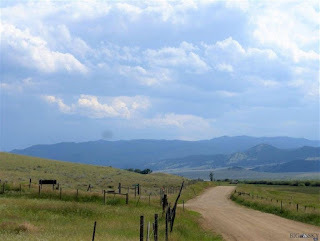 The building site is exceptional, power is along the access road and you’ll have views of the entire Boulder Valley and the Elk Horn Mountains. Helena National Forest is less than 1.5 miles away, you can walk or ride your ATV to the National Forest from this property it’s so close! This Forest encompasses the Elk Horn Mountains, which are one of Montana’s famed Trophy Elk Hunting Districts, Elk and Mule Deer are on this property most of the time. If fishing is what you’re after the Boulder River is only 5 miles away, the Missouri River it’s less than an hour drive, or take your boat and head to one of the many lakes within minutes of Helena, Montana. There are 7 Blue Ribbon trout streams within an hour drive from this property – Madison, Gallatin, Jefferson, Missouri, Boulder, Ruby, and Beaver Head Rivers; these are the cream of the crop when it comes to Western Fly Fishing Streams. Make this picturesque property your perfect Montana retreat; build a cabin or a home only $85,000. Contact Scott Joyner at 406-223-6039 for more information.